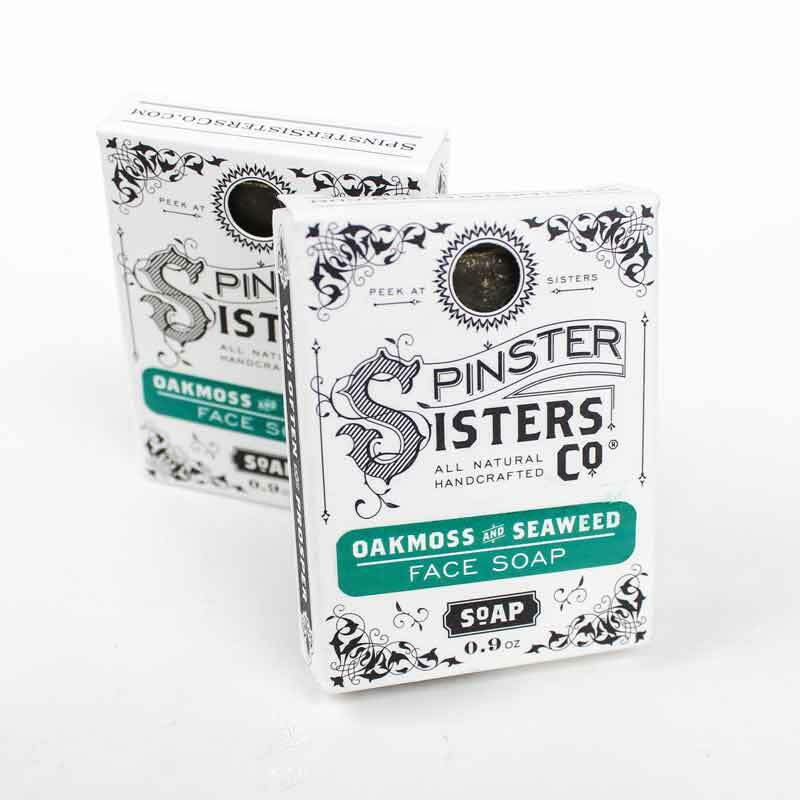 Oakmoss and Seaweed Face Soap Travel Size | Face Care | Spinster Sisters Co.
Our Travel Size Oakmoss & Seaweed Face Soap is just as soothing and restorative, gentle and nutritious and the full sized one! Beneficial ingredients like oakmoss, Irish moss, amber, and orris root repair, restore, and cleanse skin. 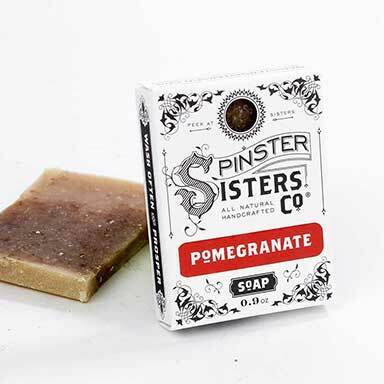 Activated charcoal adsorbs dirt and oil, soothes unwelcome skin conditions, and soaks up impurities. 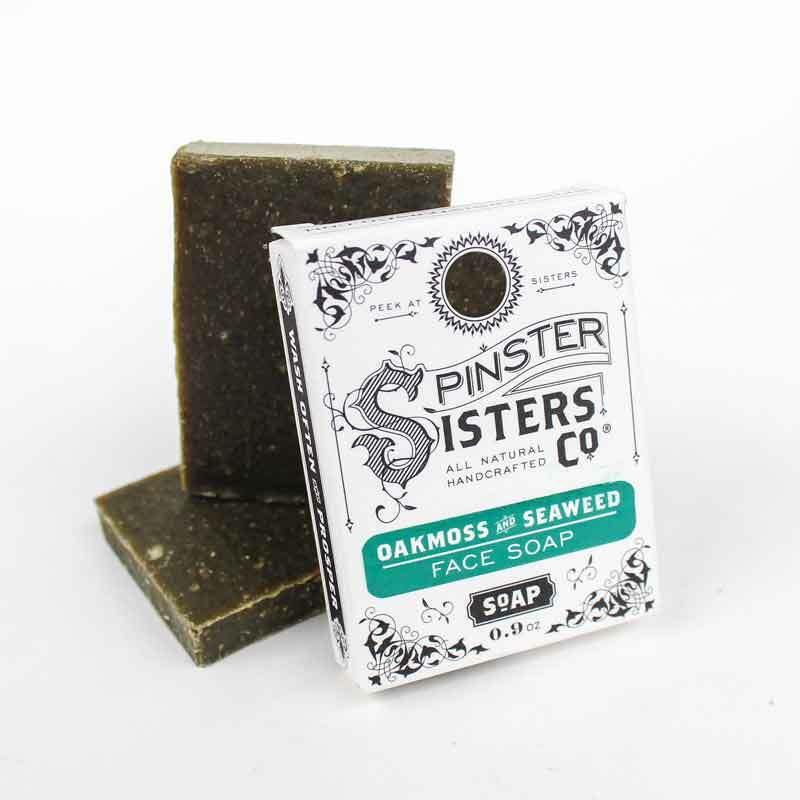 Our Oakmoss & Seaweed Face Soap will deeply clean and moisturize your skin. Try it once, and you'll be hooked. Olea Europaea (Olive) Fruit Oil, Cocos Nucifera (Coconut) Oil, sustainable Elaeis Guineensis (Palm) Oil, Ricinus Communis (Castor) Seed Oil, Prunus Armeniaca (Apricot) Kernel Oil, Argania Spinosa (Argan) Nut Oil, fair-trade Butyrospermum Parkii (Shea Butter) Fruit, Theobroma Cacao (Cocoa) Seed Butter, Activated Charcoal, Evernia Prunastri (Oakmoss) Extract, Pine Resin, Amber Resin, Iris Germanica (Orris) Root Powder, Spirulina Maxima Powder, Irish Moss Chondrus Crispus (Carrageenan), Cedrus Atlantica (Cedarwood) Bark Oil, Salvia Officinalis (Sage) Oil, and Pinus Sylvestris (Pine) Oil. 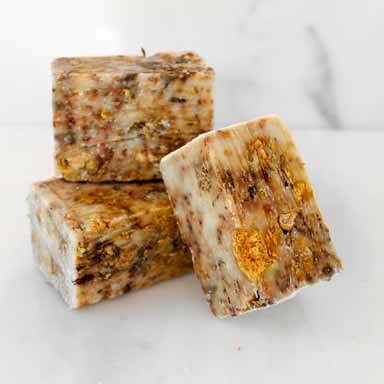 Use your freshly washed hands to work Oakmoss & Seaweed Face Soap into a lather. 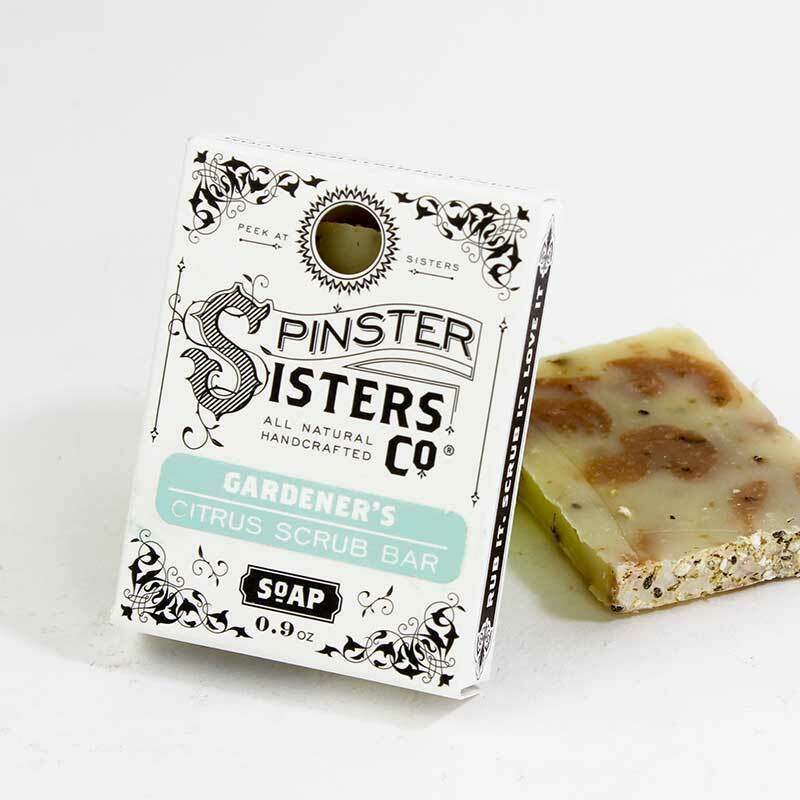 Use your hands, a clean washcloth, sponge, or gentle scrubber to apply to your face. Gently but thoroughly wash face and neck, rinse with warm water. Repeat if desired and follow with the rest of your skincare regime. Enjoy compliments on your bright and youthful visage!